Drunk On Nectar, whose Steam release was originally scheduled for Q3-2016, has now been postponed to the end of the year. This change provides crucial space for allowing further improvements to the game as well as for adding new content to the initial release. 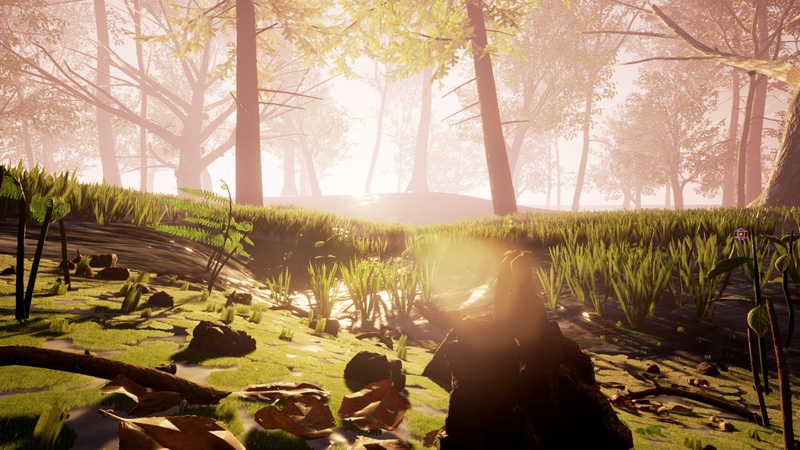 While I consider the game in its current form to be a complete product in its own right, the gigantic scope of a full-fledged nature game (there's a potentially unlimited number of animals, plants and ecological phenomena to choose from) means that Early Access is the appropriate release model for this game; that provides further room for growth, as well as community engagement in shaping the course of that growth. For now, you can sink your teeth (or chelicerae as the case may be!) into these new Drunk On Nectar pics! 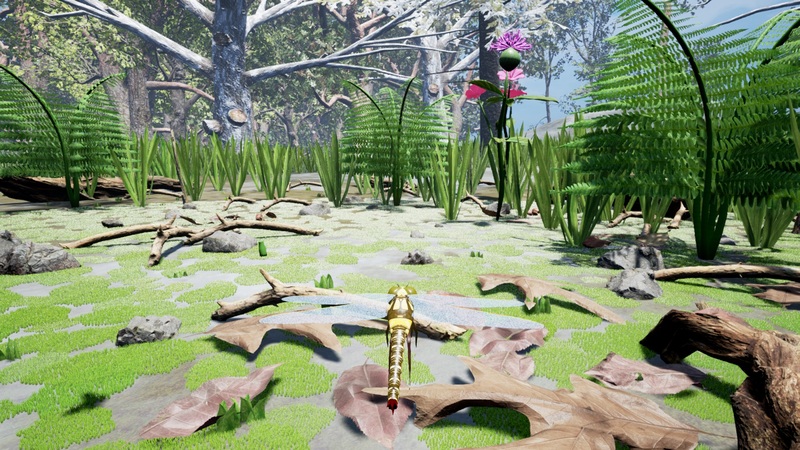 In a previous article here on IndieDB some of you provided feedback about the visuals of the game and I've taken that seriously and worked hard on reworking every square inch of the forest floor! In most games, moss is just a simple flat texture. A Micro-World game can't settle for that! In DoN's magnified world, moss is a three-dimensional, living, self-propagating entity. Something you'd usually see only in macro-photography. What's more, to a tiny Jumping Spider, a blade of grass is as tall as a building! Now with collisions enabled for grass our little creatures can climb onto grass too! It took some tweaking to get that right but being able to climb grass like a real spider is a huge win for a more immersive micro-world experience. Spring again after one full year of seasons pass. This image has some debug artifacts in it you look closely but I thought of sharing it anyway because it shows some of the recent lighting improvements that have been made to the game. There's a lot more surfaces to climb onto, leaf-litter, fallen twigs and what-not as this inquisitive Dragonfly just found out! While procedural terrain generation is not supported yet, I'm excited to reveal that a new random map feature has already been developed. 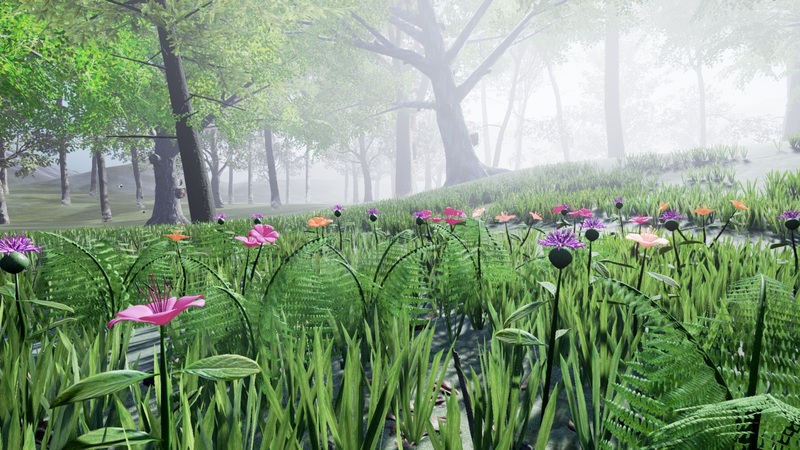 All flora and fauna are proceduraly placed and growth patterns of individual plants (all plants in DoN are composites of sub-flora right down to leaf/stalk level!) are also randomized. 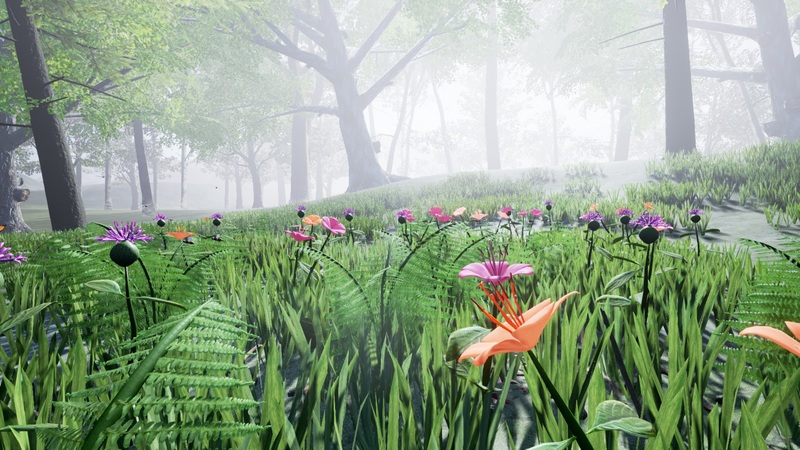 Players can configure flora and fauna population and randomization settings through a pre-game UI for maximum fun and replay value. That's it for now! Thanks for reading and feel free to comment below or on the game's Steam page too. Finally, here's a banner I made from an in-game screenshot. Thank you! You're absolutely right about performance being a huge challenge for a game like this. Fortunately the game was built with performance in mind from ground up and over the past two years of development a number of performance-friendly core systems were first built around which the rest of the game was developed. 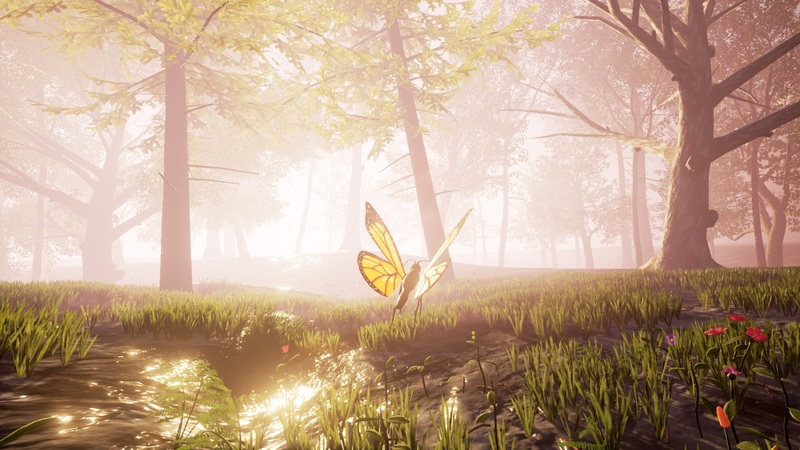 Still, your concern is very real; a full-fledged nature game will need to scale up to several times the current scope of the game and that's going to be an interesting challenge up ahead. At the very least I'll be providing an option to disable all non-gameplay items (fancy visual props, etc) and that should help too.